Ramen is something that’s inherently comforting; a bowl of the warm, rich soup paired with springy noodles and delicious ingredients never fails to make my day better. 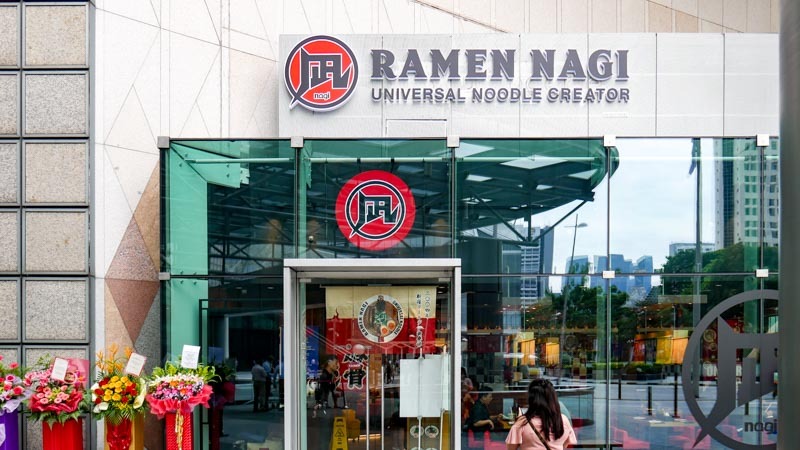 So when I heard that Ramen Nagi, one of the most popular ramen chains around, was opening its first outlet in Singapore, I was beyond excited. 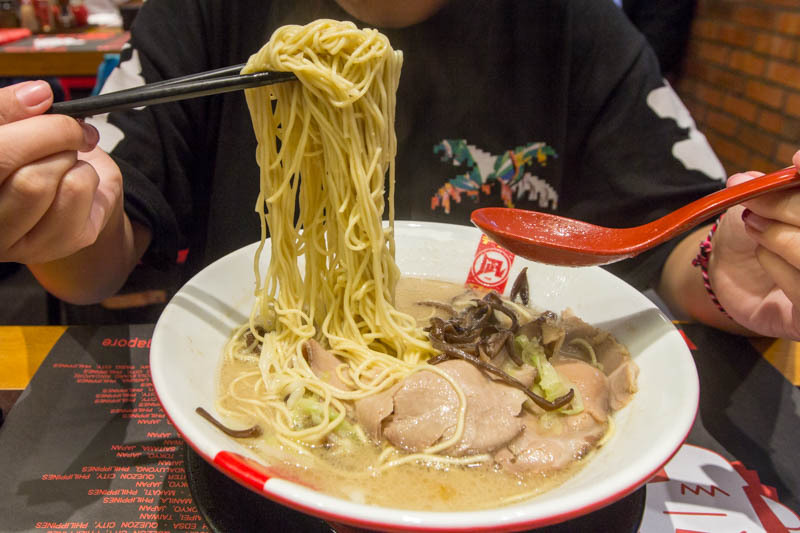 Located at the ground floor of Suntec City, you can expect to see snaking queues, as is the norm of other Ramen Nagi outlets in Hong Kong, Philippines and more. There are four ramen dishes here, with a limited edition ramen being the one changing dish on the menu. 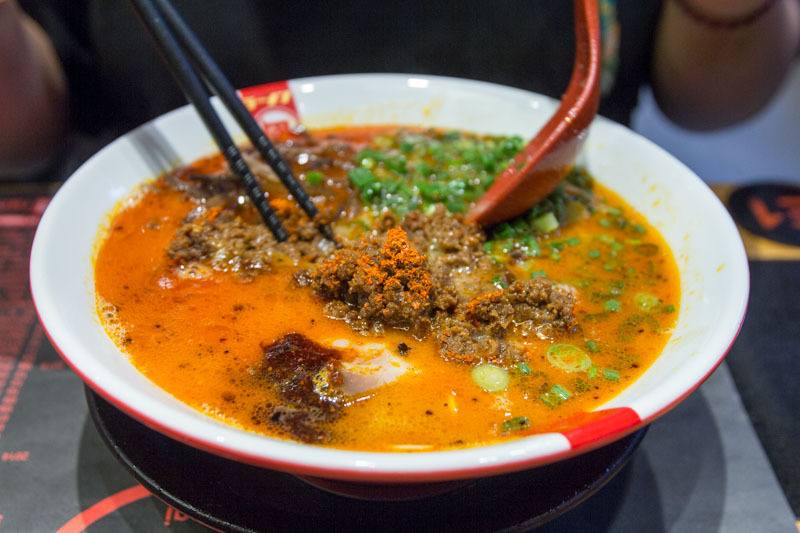 For each ramen, you get a form to indicate how rich you want the broth and special sauce to be, the amount of garlic, level of spiciness, choice of meat and vegetables, as well as the firmness of the noodles. 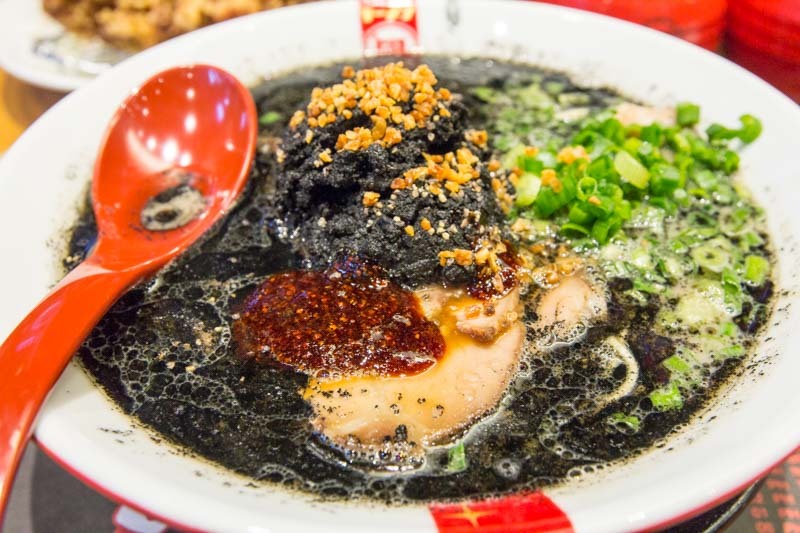 Now back to the Ramen Nagi’s ramen, the Original Butao King ($13.90) is the most traditional of the lot, with the award-winning tonkotsu pork broth prepared just as it would be in Japan. I got mine with cabbage and pork shoulder cha shu slices, with normal noodles and a rich broth. I absolutely loved the strong tonkotsu flavour, along with the soft slices of pork shoulder. Although the pieces were thin, there was about four slices. The cabbage and black fungus gave a nice crunch and sweetness to the dish. I also ordered a side of Tamago ($2) and it was cooked perfectly with a runny yolk that oozed out once I broke the white. For something stronger in flavour, try the Black King ($15.90) for a hit of peppery, garlicky goodness. 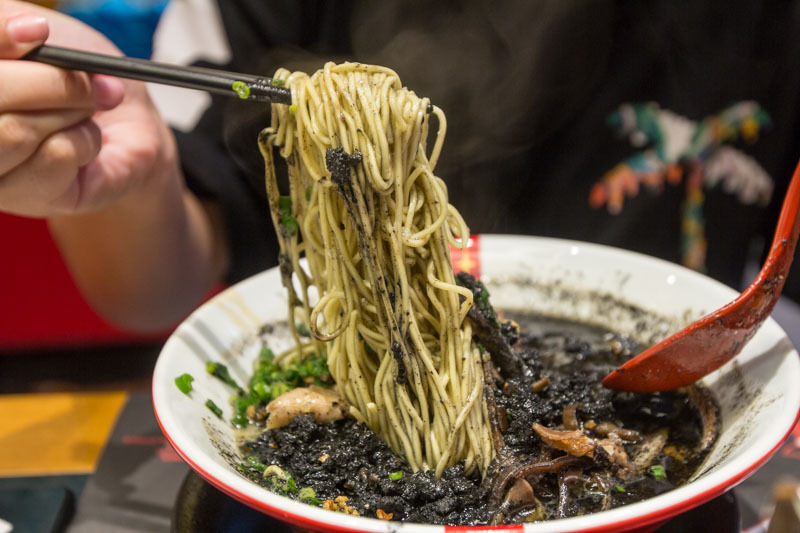 Darkened with blackened garlic and squid ink, it comes with a black ball of meat that you should break up and mix into the soup for a stronger flavour, along with a nice hint of sweetness. 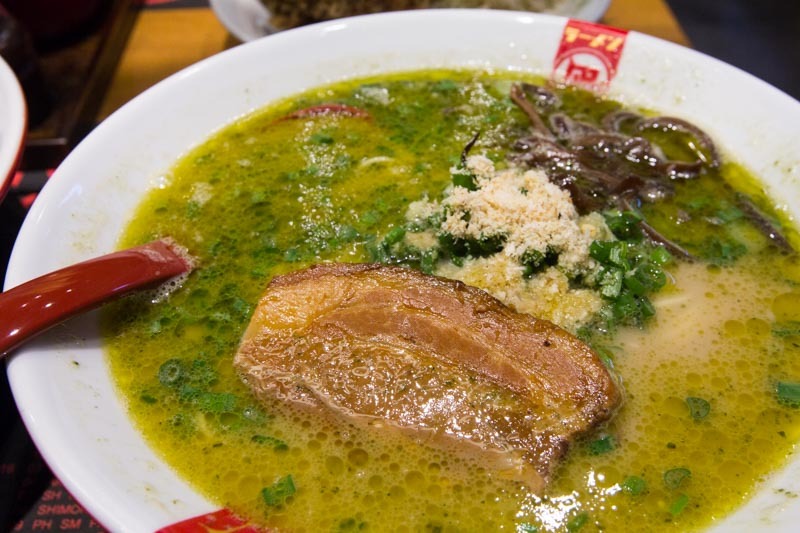 The broth was extremely fragrant, with hints of sesame and a little spiciness from the sauce. I was left a little confused by the Green King ($15.90) however; an infusion of basil and olive oil is combined with tonkotsu broth to change the flavour profile of the ramen, but it was a mish-mash of flavours to me. Granted, it was light and could almost pass off as a pesto ramen, but I’m not entirely convinced the flavours work together. Plenty of people around me were enjoying the ramen however, so it’s definitely up to personal preference. The saving grace for this dish was my choice of pork belly for the meat. It was fantastic with a slight char to the surface, but incredibly tender, almost to the point of melting in my mouth. For spice lovers, the Red King ($15.90) is the way to go. Made with garlic, chilli oil and cayenne pepper, this is one bowl of ramen that will tantalise your taste buds and leave you wanting more. The minimum spice level for this dish is Level 4, but if you go with the chef’s recommendation it will come with Level 5 spiciness. I found that the Level 5 spice was just about right for me, a nice heat with a slight burn at the back of my throat. This was my second favourite bowl of ramen from Ramen Nagi, and I might decide to go with the Level 6 spiciness when I return for more. 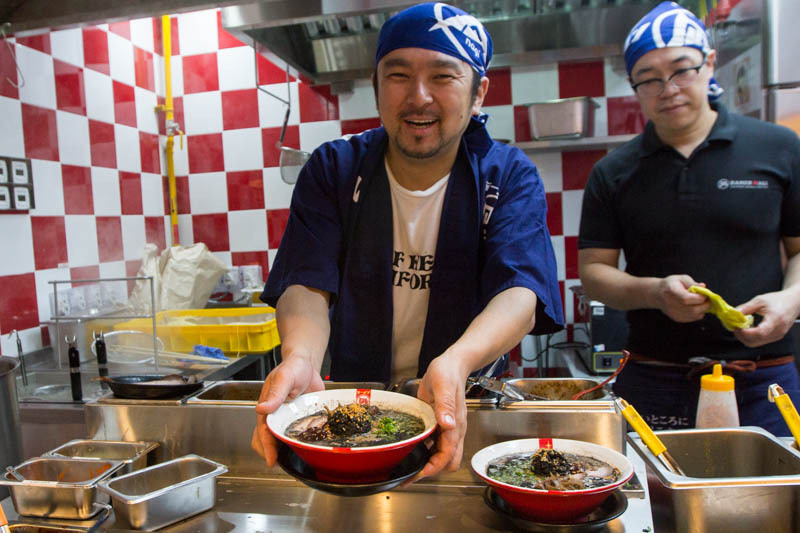 With over 50 outlets opened worldwide, Chef Satoshi Ikuta has definitely come a long way from the humble hole-in-the-wall shop back in Fukuoka, Japan, as evidenced by three consecutive years of winning the Tokyo Ramen of the Year Championship. 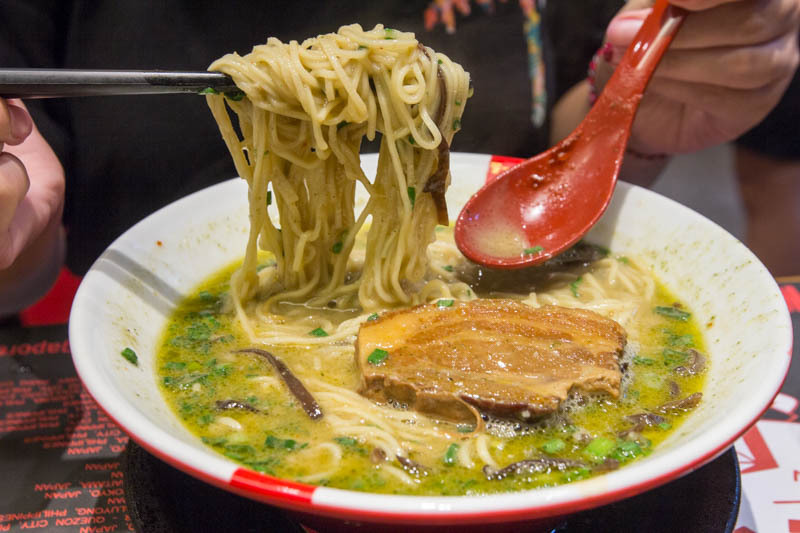 Ramen Nagi definitely stands out from the rest with the level of customisation and the undeniable quality of the food and I really did enjoy the rich broth in each ramen dish and that scrumptious slab of charred pork belly. 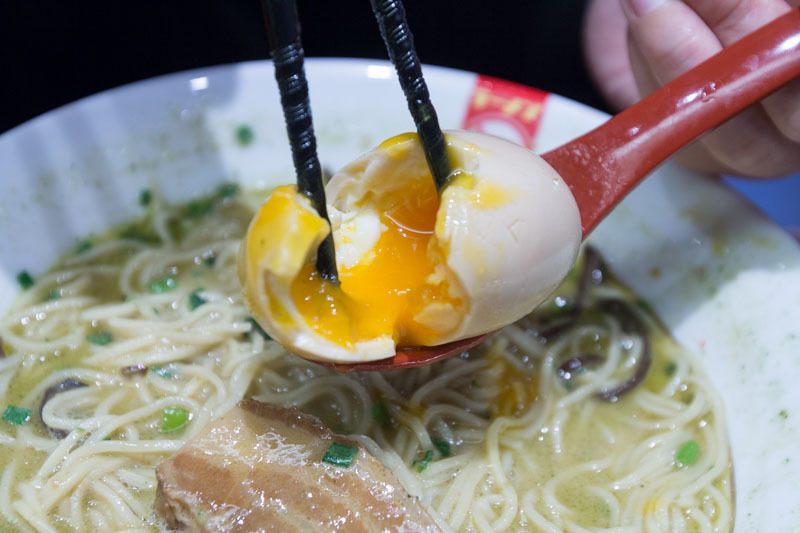 Better go get your bowl of ramen before the queues get too long to bear!